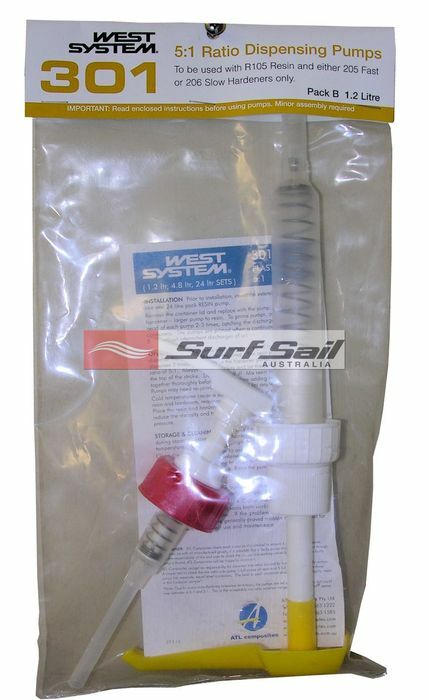 4.5	stars -	"Review for West System Dispensing Pump for 1.2 Lt Epoxy Resin pack" Mark Taylor This West System Dispensing Pump for 1.2 Lt Epoxy Resin pack is the best Repair Materials I have tried. WEST SYSTEM? Dispensing Pumps are designed for convenient and accurate metering of WEST SYSTEM resin and hardeners. For convenience, the pumps mount directly onto the Resin and Hardener containers, and eliminate the mess involved with measuring by weight or volume. Makes life easy when mixing the resin and hardener.